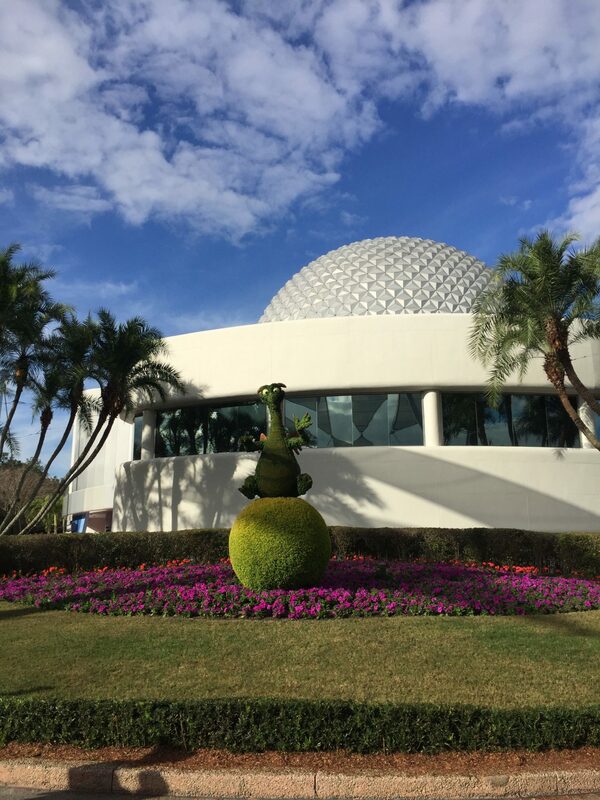 The first Epcot International Festival of the Arts kicked off this weekend. It runs weekends through February 20th and is definitely a must see! The World Showcase comes alive among artists, musicians, and performers. 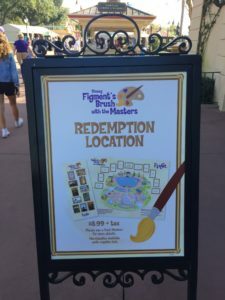 Figment’s Brush with the Masters Scavenger Hunt bring excitement for even the youngest art lover. 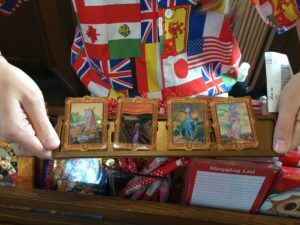 As Epcot has done in the past, items are hidden around the World Showcase and you hunt for them. You can either do it on your own or purchase a map with coordinating stickers ($6.99 plus tax). Included in your map purchase is your Masterpiece treasure at the end. We were lucky and someone gave us a hint on where the one in Mexico was located. Once you find the first one, it does get a little easier and you now know what you are looking for. The paintings are on the walls and blend in easily. If you are not familiar with the original works of art, Disney has you covered. 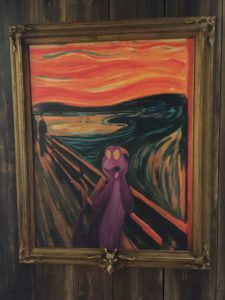 Figment has put himself in all the paintings. This was a little confusing for my 6-year-old since it didn’t look exactly like the sticker. However, once she realized what was going on, she thought it was funny. 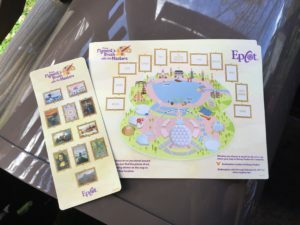 Figment also had the pictures frames specifically for the scavenger hunt. 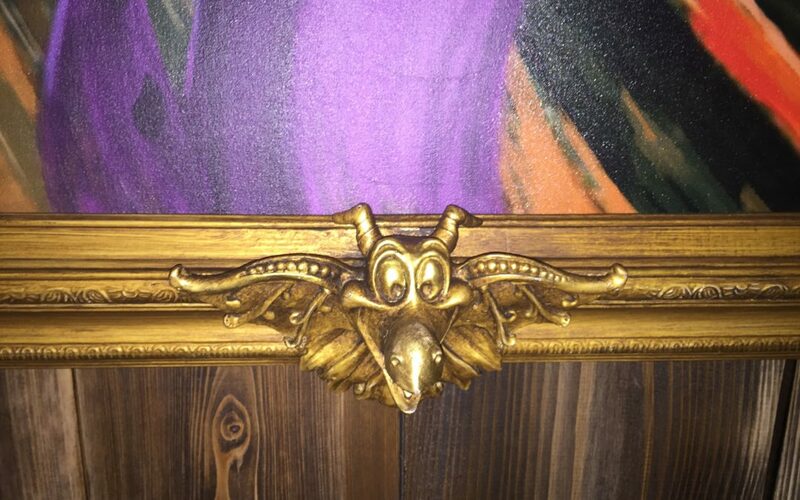 Each one has his face on the bottom of the frame making it easy to tell the difference from the real artwork. This was definitely one of the harder scavenger hunts we have done. 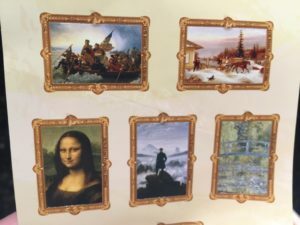 With the paintings in the buildings, it makes it more difficult if you have a stroller trying to get in and move around. There is also A LOT of artwork on the walls. Looking at all of them gets a little overwhelming-especially for the younger crowd. 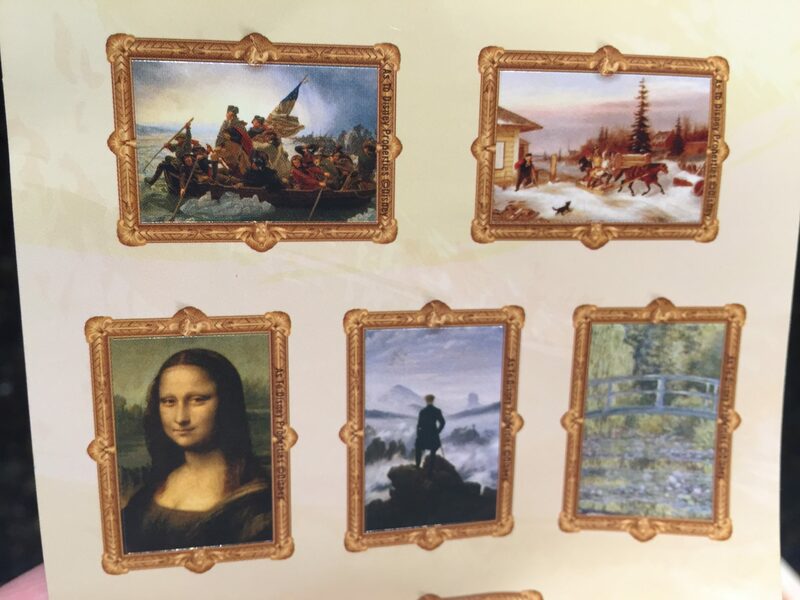 While it was fun, it took us a lot of time to find the paintings. We had planned a half-day at Epcot and did not finish the scavenger hunt. We took time to visit characters and take in some of the other activities going on. 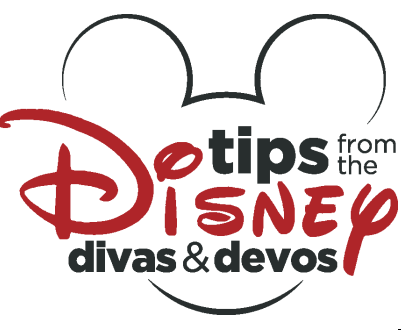 Disney Diva Tip: I highly recommend getting your prize when you purchase your map. Being that my kids are 6 and 3, this was definitely something we could have skipped this time. 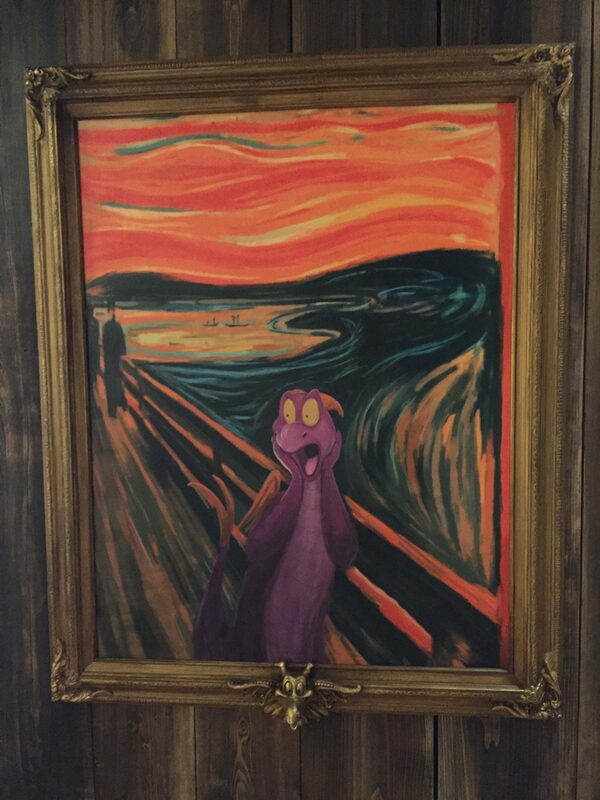 It was tough for them to locate the paintings easily. Personally, I didn’t enjoy having to go into every gift shop. If we would have brought the stroller it would have been very difficult to maneuver in and out of all the shops with the amount of people who were there. 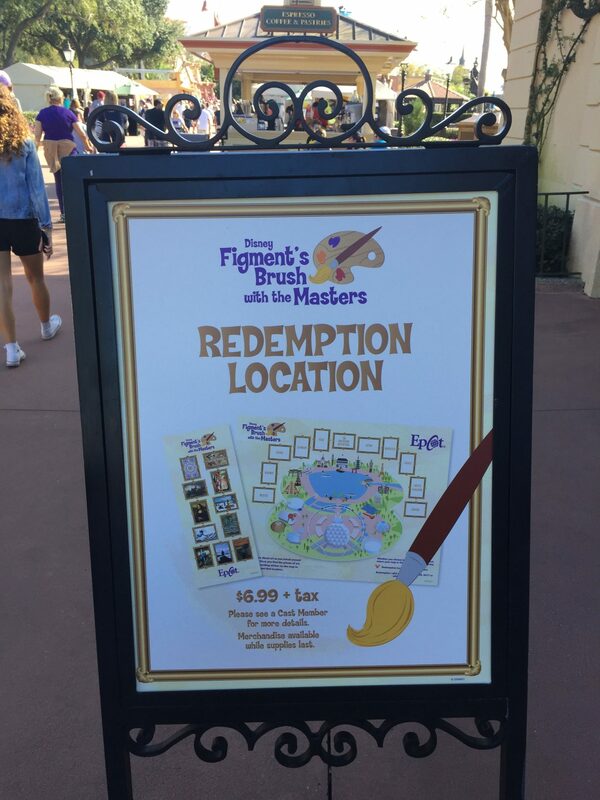 If you decide to go on Figment’s Brush with the Masters Scavenger Hunt enjoy yourself! Learn something new and see all the interested art that is specific to each country. And if you get all the way around the World Showcase, let me know! Oh, I have to give this a try. We did a scavenger hunt in Epcot as a group and it was a blast!! That does sound fun, but I’m with you, not sure I’d want to go in each and every stop. I got a little frustrated and so did my husband with how long the few Kidcot stops we went to took because of the crazy long lines.